Based in Barrie, Ontario, Open Arms Early Childhood Centre is a not-for-profit ministry of The Lutheran Church of the Good Shepherd. We offer what is arguably the best childcare in Barrie. 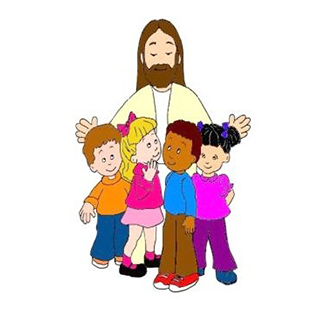 We are a licensed Christian childcare facility, governed by The Child Care and Early Years Act and Ministry of Education. Open Arms Early Childhood Centre is a member of the Barrie Chamber of Commerce, the Simcoe County Childcare Supervisors Network and the College of Early Childhood Educators (CECE). We have also participated in the Raising the Bar Initiative with Simcoe County. Open Arms is committed to building a strong spiritual foundation in the lives of young children aged 4 weeks to 12 years. We strive to provide the best possible childcare in a loving, safe and nurturing environment. We meet the individual needs of all children and allow them to grow spiritually, cognitively, and physically. Open Arms Early Childhood Centre provides a nurturing and caring environment so that you can have peace of mind knowing your children are safe and happy in our care. Open Arms Early Childhood Centre is open to all families. We request that parents seeking enrollment for their children call or e-mail the centre for more information. Upon receiving your request, we will promptly give parents and their children a tour of the centre and meet with our staff. During the tour, parents will be given information about the centre and the necessary registration forms. Enrollment is based on availability of vacant spaces within the centre or desired program. Spaces are filled based on availability corresponding to such vacancies. A wait list is maintained, from which vacancies are also filled. We strive to ensure that all children have a smooth and positive transition into our centre. We encourage orientation visits with children and their parents at the family's convenience. We will work with parents to ensure a positive transition into our facility. It is our prayer that God's love will fill the hearts of all who enter our doors. Please call us at 705-721-3399 and we would be happy to discuss your childcare needs.